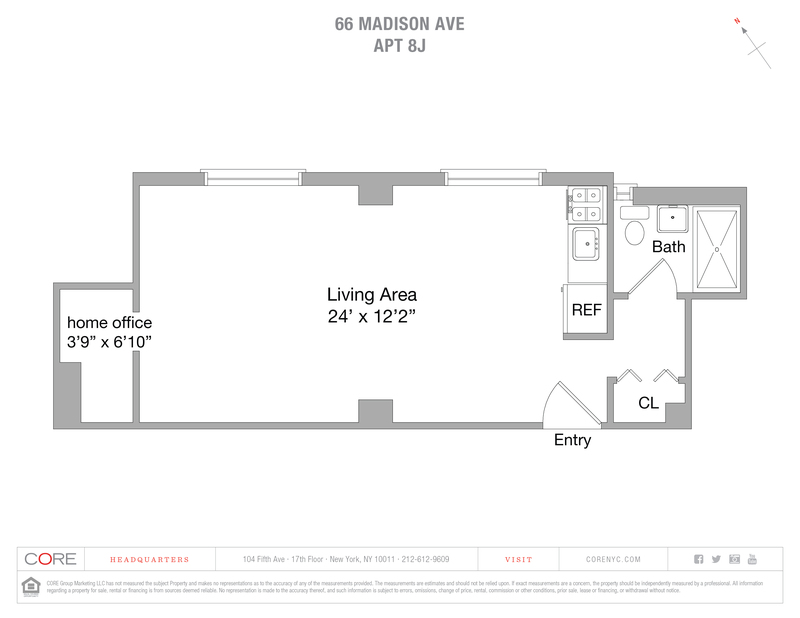 Yes, you can live in NoMad at an affordable price in an elegant doorman building with all the essential amenities. You can also purchase an apartment in a building with a liberal sublet policy. The apartment itself feels like a quiet oasis. 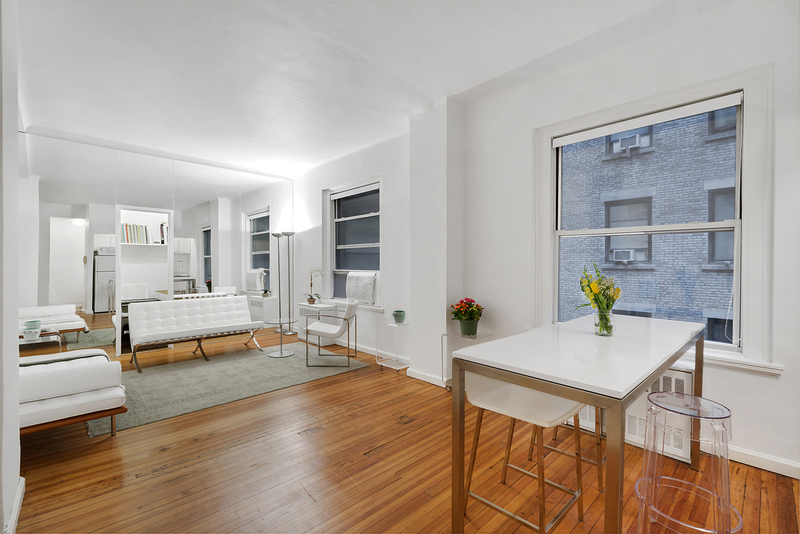 This loft-like home has 9’9” ceilings and oak hardwood floors throughout. The open kitchen is windowed as is the bathroom. The studio is large enough to comfortably fit a large bed, living area and a dining area. The current furniture can be sold with the unit.